Liver cancer is the leading cause of cancer-related death among African men and the third leading cause among African women, according to the American Cancer Society. Two Mayo researchers with roots on the continent are working to make sure those numbers go down, and they're starting with the Somali community in Rochester. 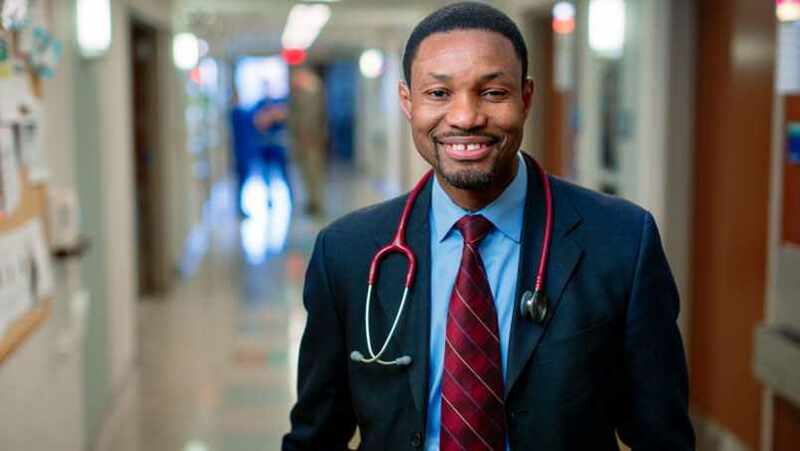 After growing up and attending medical school in his native Ghana, Lewis Roberts, M.B., Ch.B., Ph.D., pursued his Ph.D. at the University of Iowa, reports the Rochester Post-Bulletin. Dr. Roberts then was accepted into Mayo Clinic's "highly selective" Clinical and Translational Science program, where he "received training to both practice as a clinician and do robust research work." After graduating, Dr. Roberts set his sights on treating and researching liver cancer "because of its prevalence in Africa." Abdirashid Shire, Ph.D., also came to Mayo Clinic via the Clinical and Translational Science program after earning his undergraduate degree in Somalia and his doctorate in London. Soon after he arrived in Rochester, the P-B reports, Somali community members "affected by liver cancer-related problems" began "reaching out" to Dr. Shire for help. "That's when I began to think that there was more to this than face value, and that we needed to involve a community perspective," Dr. Roberts tells the newspaper. By "digging through medical records," the two researchers learned that Somali patients were "10 times more likely than non-Somalis to have chronic hepatitis B and three times more likely to have hepatitis C." Both conditions "are risk factors for developing liver cancer." That finding led them to create "community health advisement committees" to help them reach and educate the local Somali population about the correlation between hepatitis and liver cancer, along with providing free screenings for the disease. "Screening and surveillance can find cancer at the earliest stage, and when we can do that, people's survival rates are much higher," Dr. Roberts tells the Post-Bulletin. Dr. Roberts says that could go a long way toward reducing the risk of a disease that oftentimes shows no signs until it's too late. "A lot of people have no awareness, and they feel well," he tells the P-B. "By the time they begin to have symptoms, it is way too late to intervene and save the liver." The newspaper reports that about 700 Somali patients have received screenings. About 15 percent have tested positive for hepatitis B and about 8 percent, for hepatitis C. The team hopes to expand screening "to other immigrant communities from Kenya, Ethiopia, and Liberia and southeast Asia" with help from Mayo's Clinical and Translational Science program and Office of Health Disparities Research. It's never too late to intervene with us by sharing your comments below. Share this story with others using the social media tools atop this page.